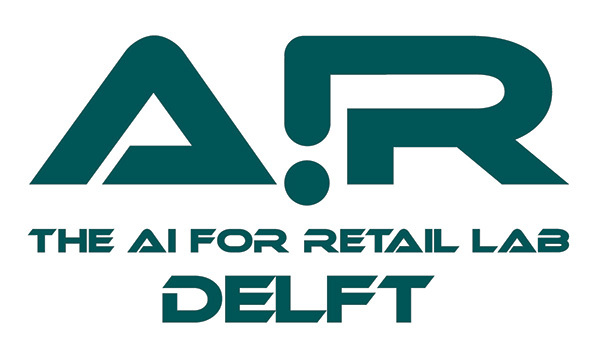 The AI for Retail (AIR) Lab Delft is a joint TUDelft-Ahold Delhaize industry lab consisting of a robotics research program and test site focused on developing state-of-the-art innovations in the retail industry. By expanding its focus to robotics, AIRLab Delft will further drive innovations for daily business while building more knowledge of the intersection between retail, AI and robotics. The expansion comprises a robotics research program and test site for developing state-of-the-art innovations in the retail industry. Though tooth removal is the most commonly performed surgical treatment worldwide, there has not been any real technological advancement in over 2000 years. There is still a lot of stress involved for patients, dental students, and (young) dentists. Up until now there is no scientific understanding of tooth removal procedures in terms of what motions and forces should be applied and this has its consequence on the quality of education. Students are highly undertrained when it comes tooth removal. The only way to prepare for a procedure is to read very limited instructions on ‘rocking and twisting’ motions and, in contrast to all other fields of dentistry, there is no way to practice these treatments pre-clinically. Practicing tooth removal therefore takes place on actual patients. The goal of this project is to utilize modern robot technology to gain understanding of tooth extraction procedures and to use the acquired data to improve dental education. Bridging the scientific gap that exists in this field will have direct and significant clinical consequences and will lead to more confident dental students and dentists when practicing/performing these procedures, more efficient referral behavior and last but not least reduce discomfort and complication rates for the patient. Programming and re-programming robots is extremely time-consuming and expensive, which presents a major bottleneck for new industrial, agricultural, care, and household robot applications. My goal is to realize a scientific breakthrough in enabling robots to learn how to perform manipulation tasks from few human demonstrations, based on novel interactive machine learning techniques. Current robot learning approaches focus either on imitation learning (mimicking the teacher’s movement) or on reinforcement learning (self-improvement by trial and error). Learning even moderately complex tasks in this way still requires infeasibly many iterations or task-specific prior knowledge that needs to be programmed in the robot. To render robot learning fast, effective, and efficient, I propose to incorporate intermittent robot-teacher interaction, which so far has been largely ignored in robot learning although it is a prominent feature in human learning. This project will deliver a completely new and better approach: robot learning will no longer rely on initial demonstrations only, but it will effectively use additional user feedback to continuously optimize the task performance. It will enable the user to directly perceive and correct undesirable behavior and to quickly guide the robot toward the target behavior. 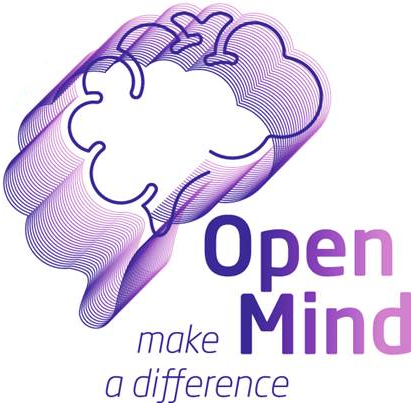 In my previous research I have made ground-breaking contributions to the existing learning paradigms and I am therefore ideally prepared to tackle the three-fold challenge of this project: developing theoretically sound techniques which are at the same time intuitive for the user and efficient for real-world applications. 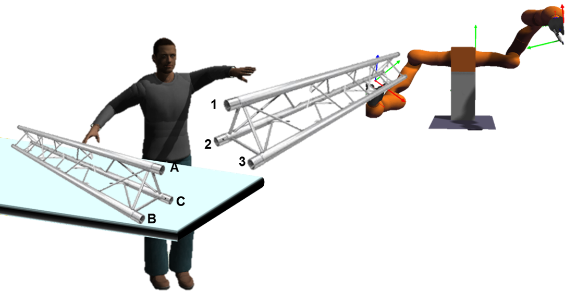 The novel framework will be validated with generic real-world robotic force-interaction tasks related to handling and (dis)assembly. The potential of the newly developed teaching framework will be demonstrated with challenging bi-manual tasks and a final study evaluating how well novice human operators can teach novel tasks to a robot. Wind turbines behave well in a lot of different wind conditions, in the lightest breeze and the heaviest storms. In the end, it boils down to producing energy at the lowest possible cost. That is why the system that controls the response of a wind turbine to the wind, must keep finding a balance between producing energy and the loads acting on the wind turbine. This project focusses on finding new ways to finding this balance. These new ways are becoming available due to the rapid scientific progress in the fields of (deep) machine learning and the use of, amongst other things, neural networks. By applying these methods in wind turbine control, we expect to realise a 5-10% design equivalent load reduction. 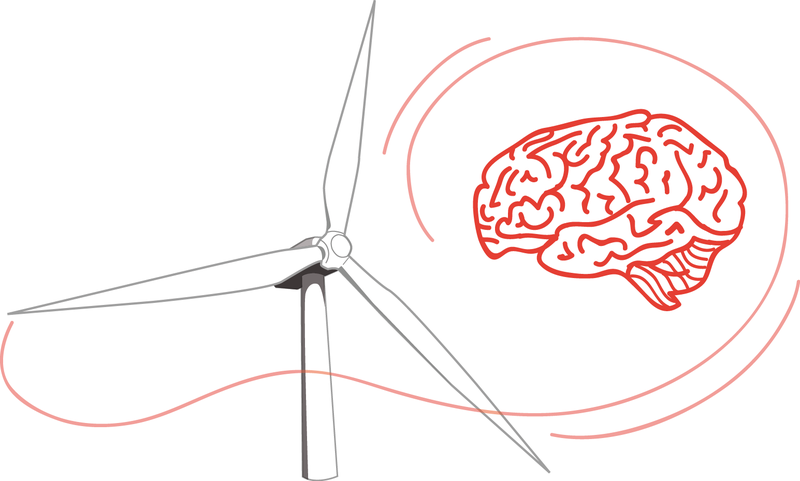 The goal of the project is to improve the wind turbine controller and its design process. This will be achieved by using machine learning (ML) to tune the controller in the design phase. The controller will contain conventional estimators and controller structures. Neural or Bayesian networks (hereafter: artificial networks (AN)) will be used to search for opportunities to further improve the conventional controller design. ML methods and AN architectures: AN types are compared and the architecture of an AN-based controller is selected. Based on that selection, appropriate ML methods are selected. Conventional controller tuning with ML: The selected target function may be difficult to capture for the conventional controller. ML can tune the parameters based on the target function directly. AN-controller: Incorporate AN in the controller and tune it. Situations where improvements are sought are low, normal and highly turbulent winds, starts and stops and extreme wind conditions, such as extreme operating gusts or extreme direction changes. The improvement is expected to reduce design equivalent loads on the blades and the wind turbine tower and to reduce extreme loads. These reductions can directly reduce the cost of a wind turbine. Alternatively, the load reduction on the blades can be used to employ longer blades, resulting in a higher production. Human-robot interaction and collaboration is of fundamental importance for any robot leaving the safety of fences on a highly-structured factory floor: service and care scenarios, medical applications, offshore, maintenance and inspection, as well as industrial assembly. In this project, we will develop new concepts and techniques for robot learning that endow robots with the capability to physically interact and collaborate with humans. In particular, we will consider tasks related to joint handling of large objects, i.e., jointly transporting and manipulating them. Examples include transporting and assembling light traverses, or changing tires on a car. While robots can flawlessly execute a set of commands to achieve a task, these commands are mostly encoded by hand. There is a need for effective learning methods that can deal with the uncertainty in the robot's environment, in particular when only broad goals are specified, and the learning algorithm has to learn motor commands to achieve these goals. This typically involves reinforcement learning (RL). However, current RL for robotics tasks relies on ad hoc function approximators and is typically not robust to changes in the task, environment, or robot uncertainty (compliant robot actuators, or wear and tear). The aim of this project is to integrate two emerging notions in order to make reinforcement learning for robot control more robust and efficient: dynamic feedback control policies for robust control combined with deep neural networks to learn low-dimensional parameterizations of such control policies. 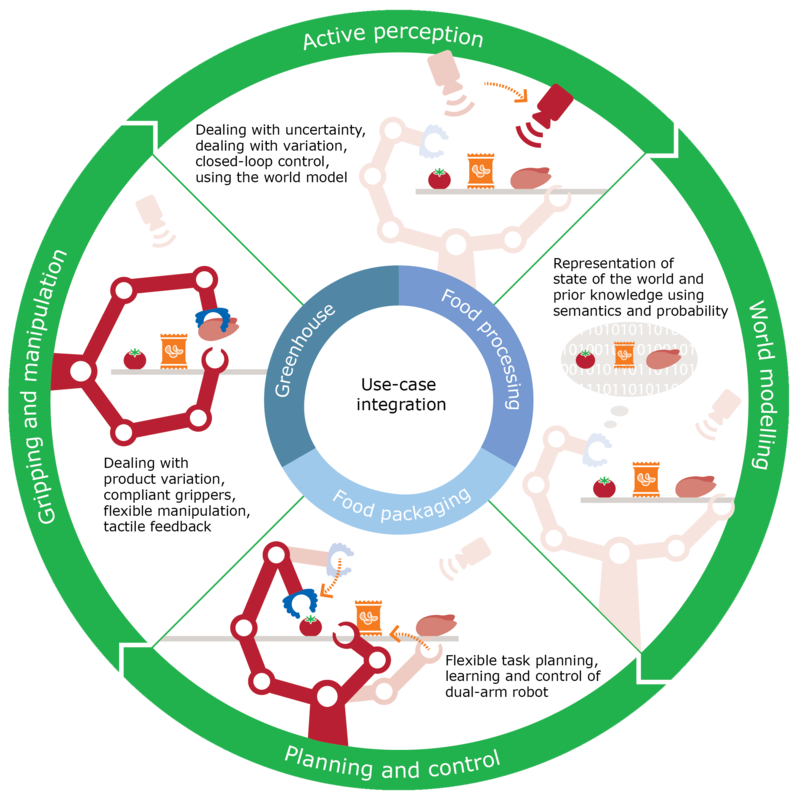 This approach promises a generic and robust approach to reinforcement learning for robotic control.